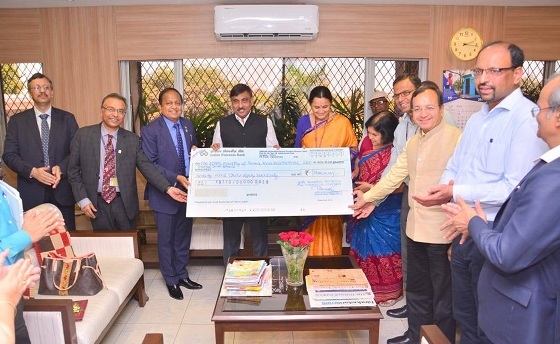 Singrauli: Northern Coalfields Limited (NCL) is going to make another major contribution to the development of Sonbhadra District under its Corporate Social Responsibility (CSR) program. The company will spend Rs. 24 million for implementation of 6 works of development at different places in the district. In order to implement these works, the NCL conducted an MoU with the district administration in the office of Sonbhadra District Officer on 22nd November 2018. 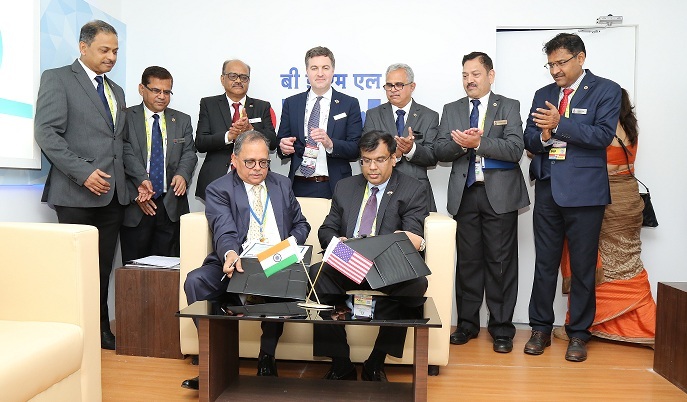 Shri Ashameshwar Pathak, General Manager (CSR) of NCL, and the Chief Development Officer of Sonbhadra (CDO) Shri Sunil Kumar Verma Signed this MOU. Mr Amit Kumar Singh, District Officer of Sonbhadra district and Mr. Rajendra Rai, General Manager of the company's personnel Mr. Charles Juster and Bina Area were present on the occasion. District Collector Mr. Amit Kumar Singh and CDO Mr. Sunil Kumar Verma thanks the NCL management for contributing to the development of Sonbhadra district. Chief of the personnel of NCL, Mr. Jules, gave assurances to the officials of Sonbhadra district administration to give every possible help in the development of the district in the future by the company. Under these development works, 300 solar street will be installed at various public places in Sonbhadra district. A Solar Power Plant will be installed at Vikas Bhawan, a skill development centre for the production of solar energy. Also, a brick machine for making bricks from fly ash for the Sonbhadra district will be arranged. Smart schools will be arranged in these schools for the purpose of helping students of 20 schools in the district to get the education through modern method. For the use of trainee players of the archery training program being run at Tiara Stadium in Sonbhadra, to arrange sports talent for local youth archers, a modern bow-arrow arrangement of 06 nos will also be made. Skill Development Training programs will also be run through the ITI, Dudhi for the purpose of helping the youth in Sonbhadra district develop skill development and help them get employment.